Warwick Davis (Insurance Consultants) Ltd is an independent insurance consultancy, established in 1995, specialising in servicing the needs of commercial and private clients throughout the UK. We are not a call centre and pride ourselves in being able to provide a high level of personal attention and detail to your insurance needs. Our experienced consultants can advise on a wide range of general insurance products for all sizes of business, whether you are a sole trader or a small, medium or large commercial business. We also cater for the needs of private clients, particularly home insurance for mid to high net worth individuals. Please get in touch for a preliminary discussion with one of our consultants to discuss your individual needs. Well established relationships with leading Insurers. A Family Business, established for over 20 years. 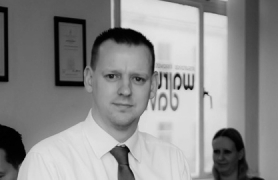 Neil has over 23 years of general insurance broking experience and is a co-founder of the business. Neil studied hard in the 1990’s and in 1998 was rewarded with a Diploma of the Chartered Insurance Institute. Neil’s experience is extremely broad and as such can advise on nearly all aspects of personal and commercial insurance policies. Neil’s interests are bowls, playing 5-a-side and 6-a-side football, eating out and family life. Neil is also a passionate Tottenham Hotspur supporter. 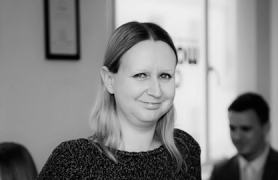 Julie joined the company in 1998 as a filing clerk and has since progressed through the ranks to become a fully qualified member of staff, gaining the Certificate of the Chartered Insurance Institute qualification. Following Julie’s now handles all manner of Commercial Insurance enquiries, new business, adjustments and renewals. Julie has 2 children, 3 dogs and enjoys socialising with family and friends and is also an avid crime novel reader. Danielle joined the company in 1999. She has studied to achieve the Certificate of the Chartered Insurance Institute qualification. She started her career in Personal Motor and Home insurance and then progressed in to Commercial Insurances. 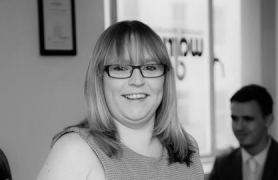 In 2009, Danielle was appointed as Schemes Co-ordinator and successfully manages our niche Bowling Club Insurance scheme. Danielle has three young children and enjoys family life. 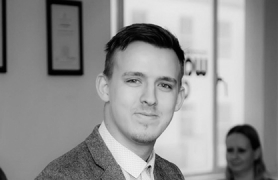 Liam joined the company in 2011 and started his career advising on personal insurance products. Having gained Certified status with the Chartered Insurance Institute in 2013, Liam has progressed into Commercial Lines Business and by 2015 played a key role in the launch of our second niche insurance scheme for Micropubs. Liam loves eating out and in the summer months you will likely find him out on the golf course! He is also presently studying for Diploma status with the Chartered Insurance Institute. 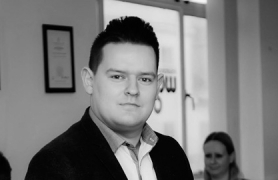 Lenny joined the Company in 2015 following successful beginnings with a National Insurance Provider. He has experience in personal lines and commercial insurance products. Lenny is enrolled with the Chartered Insurance Institute and has already passed his first exam with plans to gain full qualification in the near future. Lenny enjoys eating out, socialising with friends and he is a passionate Tottenham Hotspur supporter.